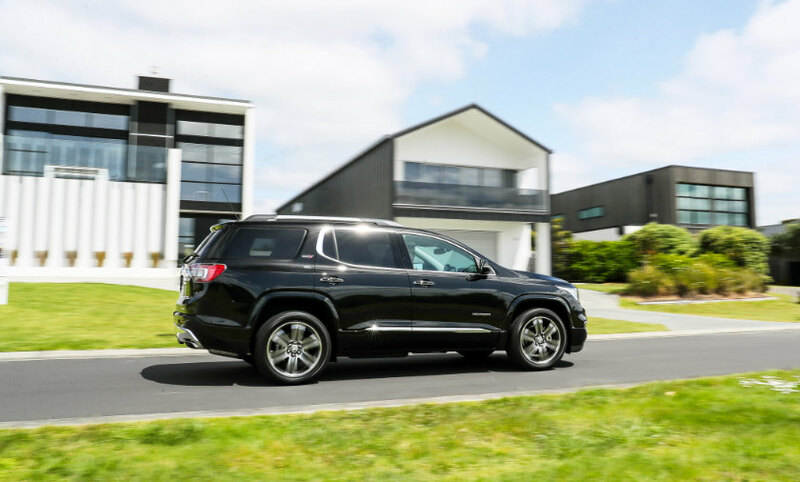 Get quick facts on the GMC Acadia (2017–) at Autocade. 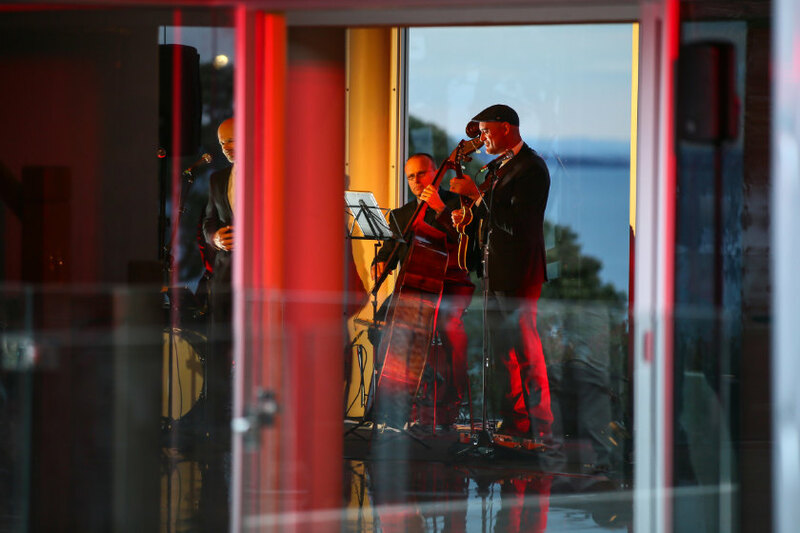 With the demand for SUVs showing few signs of slowing, Holden went all out with the launch of its latest nameplate, Acadia, destined to be the flagship SUV for the brand in Australia and New Zealand. 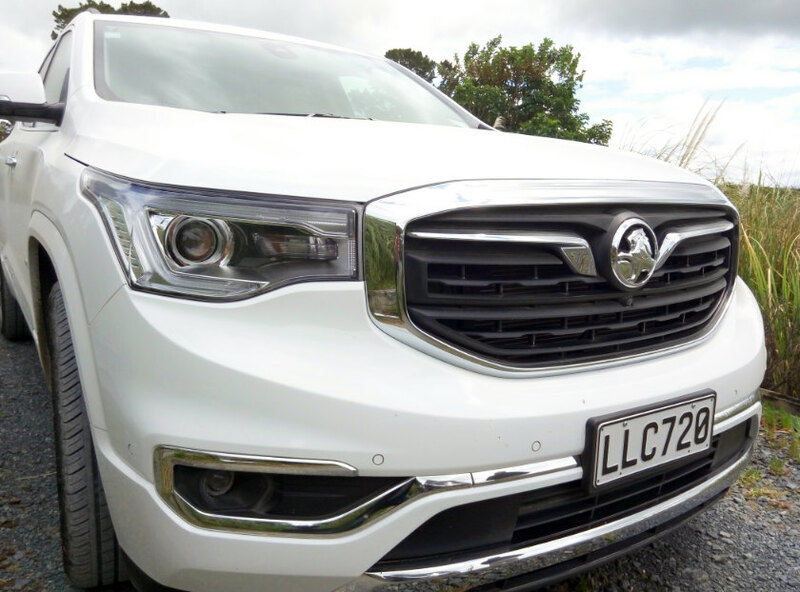 The top-of-the-line crossover is Holden’s answer to the likes of the Toyota Highlander and Hyundai Santa Fe: it’s a large SUV with imposing American styling designed to out-chrome anything in its price range. 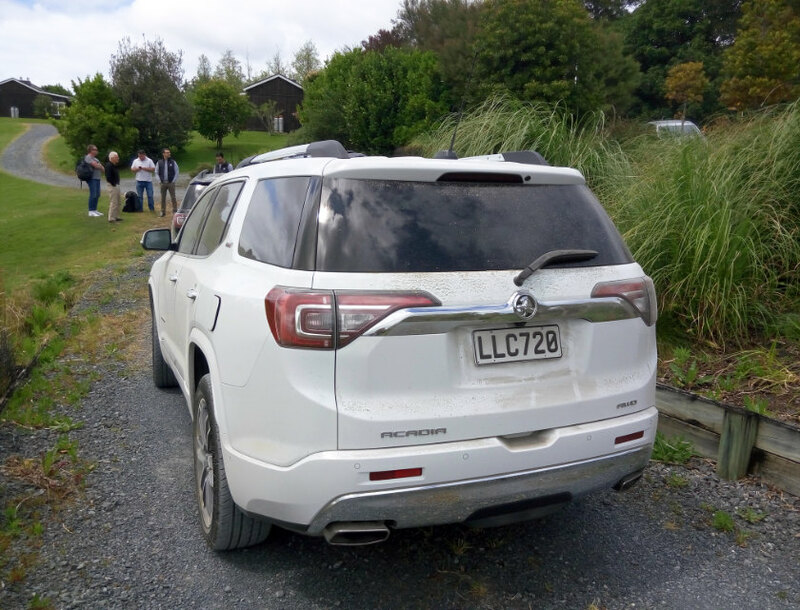 Like many Holden products of late, it’s very keenly priced, with the base model starting at under NZ$50,000, topping out at NZ$71,990 for the LTZ-V AWD. 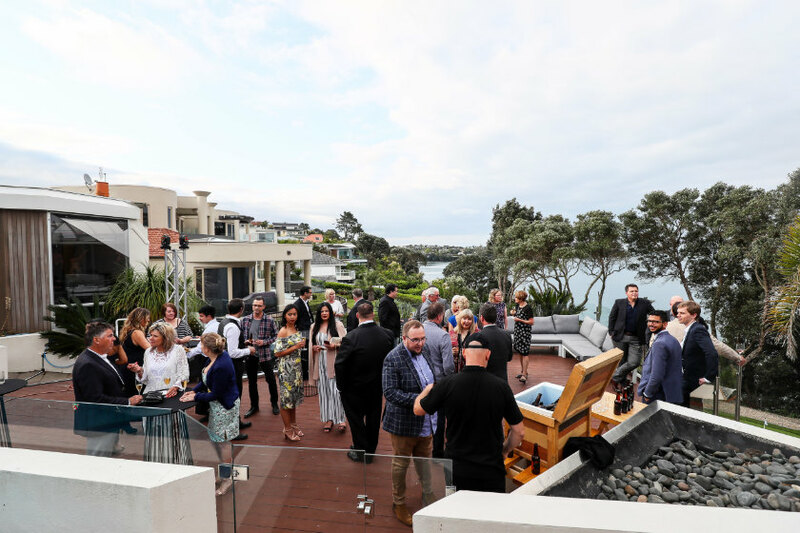 The large-SUV market has grown 65 per cent in the last five years in New Zealand, echoing global developments, says Holden’s product marketing manager Ina Economopoulos. 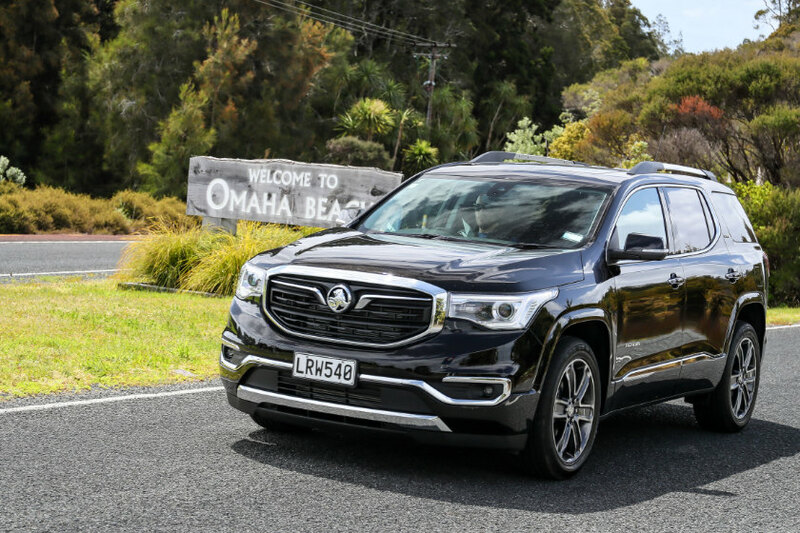 With any SUV in the GM portfolio to choose from, Holden eschewed more obvious models such as the Buick Enclave and Chevrolet Traverse, preferring something that would distinguish it from the largely Asian competition in Australasia, and sourcing from the GMC range. 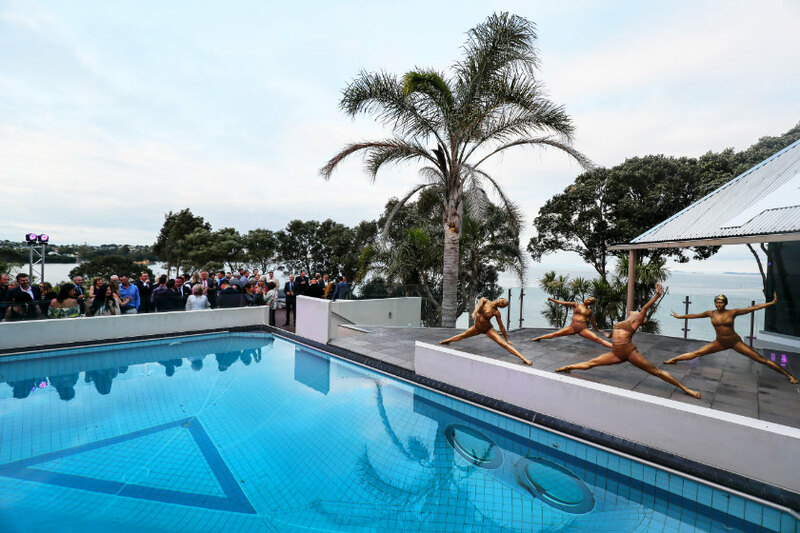 The launch was unlike any other that Holden had held: using a luxury home in Browns Bay, Auckland, Holden’s corporate affairs’ general manager Ed Finn hired gold-painted dancers, jazz musicians, and roulette and blackjack dealers to emphasize the Acadia’s positioning: don’t just go somewhere, ‘arrive’ in style and make sure you’re noticed. The TV spot, with the sounds of Flo Rida, is full of American swagger and unexpected turns—Holden doesn’t want Acadia to be seen as just another family crossover, but one which screams “me” for the selfie generation. 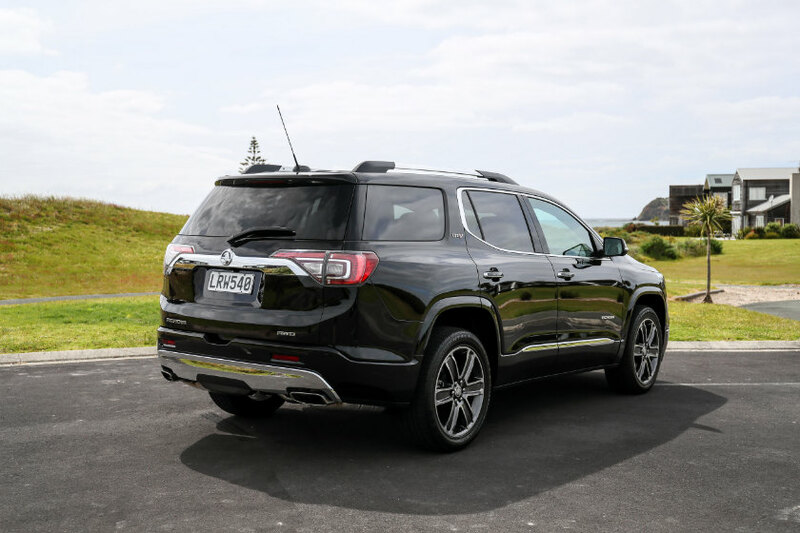 The vehicle itself is based on the GMC Acadia, but sufficiently Holdenized with the trade-mark lion badge front and rear, bringing it reasonably into line with other products in the range. 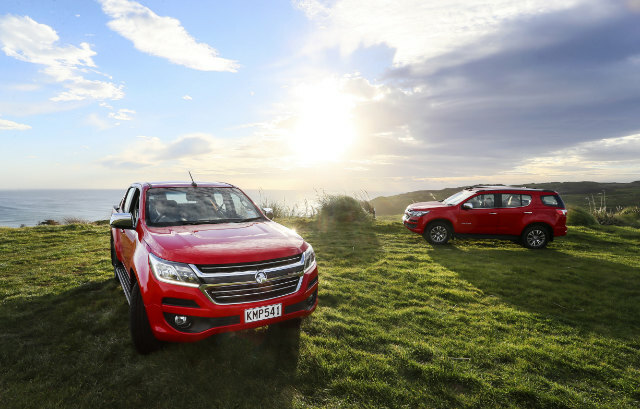 It means Holden now has products from Chevrolet, Opel and GMC in its ranks, but this doesn’t seem to have dampened things: the company reports strong enquiries from around the country and even brought forward the Acadia’s launch to ensure its presence at Fieldays events in New Zealand’s rural communities. 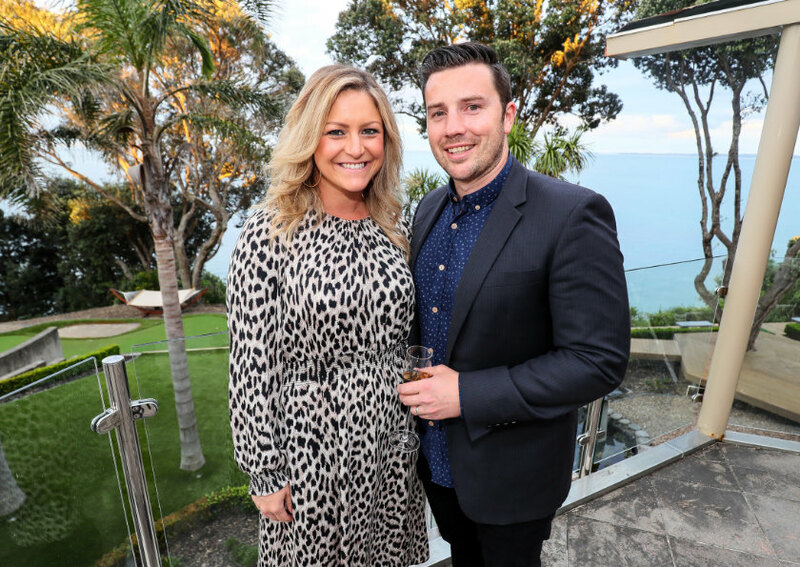 Those wanting a flagship Holden have been eyeing up the Acadia, says newly installed New Zealand managing director Marc Ebolo, who reckons the new model is ‘desirable especially in black with chrome, according to Holden research.’ The TVC was the brainchild of his predecessor Kristian Aquilina and marketing GM Marnie Samphier, both of whom were so successful in New Zealand that they were tempted to head up more senior roles in Australia, and Ebolo hinted that it was so successful it could go global. 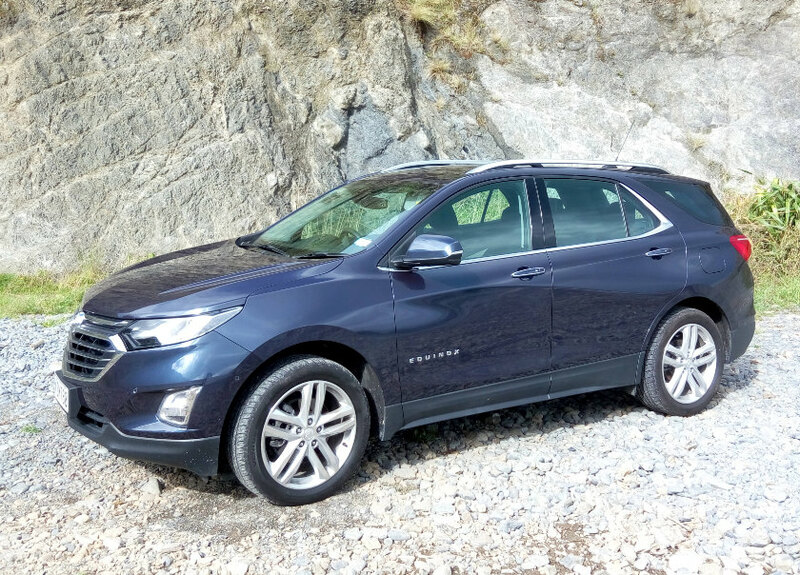 All models are powered by GM’s 3·6-litre V6, related to the unit in the Commodore, developing 314 PS (214 kW) here, and besting 8·9 ℓ/100 km (32 mpg) for front-wheel-drive models. There’s more legroom inside than either the outgoing Mazda CX-9 and the Highlander, especially in the third row. Technological highlights include traffic sign recognition, a rear-view camera that focuses on the hitch for those expecting to tow with their Acadias, pedestrian detection, lateral impact avoidance (an enhanced blind-spot monitoring that looks further back), and road-edge detection which doesn’t require sharp, white lines to keep the vehicle in its lane. Safety alerts come not just with sounds but with vibrations in the seat, and there’s autonomous braking to avoid pedestrians and cyclists. The headlights automatically dip if on high beam when there’s oncoming traffic. Ebolo was keen on the multiple USB ports (v. 2·1), front and rear, including the third row. 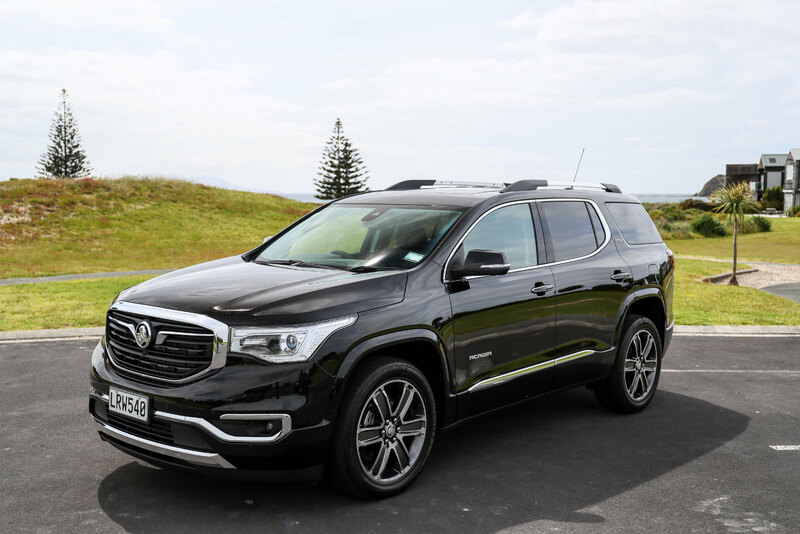 As with the GMC Acadia, the Holden version comes from the former Saturn plant in Spring Hill, Tenn.
Holden engineer Tony Metaxas says the Acadia’s suspension tune has been adapted to this region, its passive suspension co-developed with GM in North America. 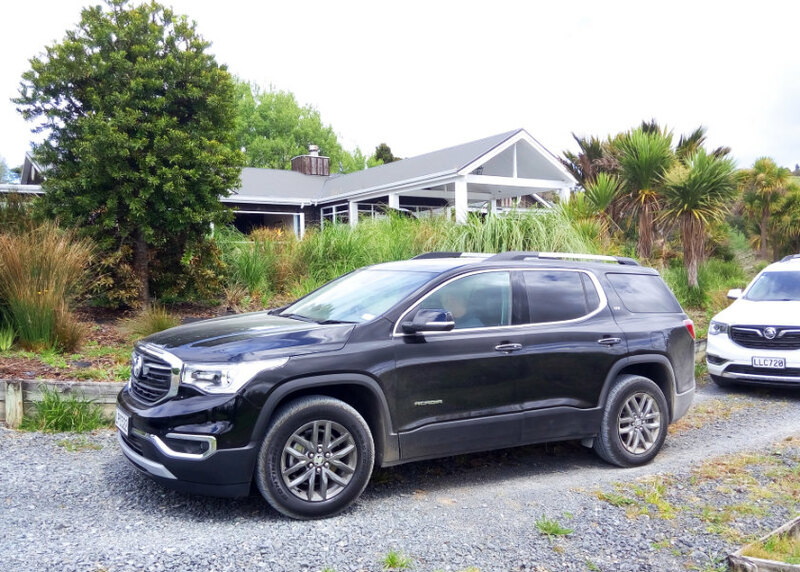 LTZ-V comes with Flexride continuous damping as standard, a feature which made a noticeable and very welcome difference on our 400 km test drive north of Auckland up to Omaha Beach. 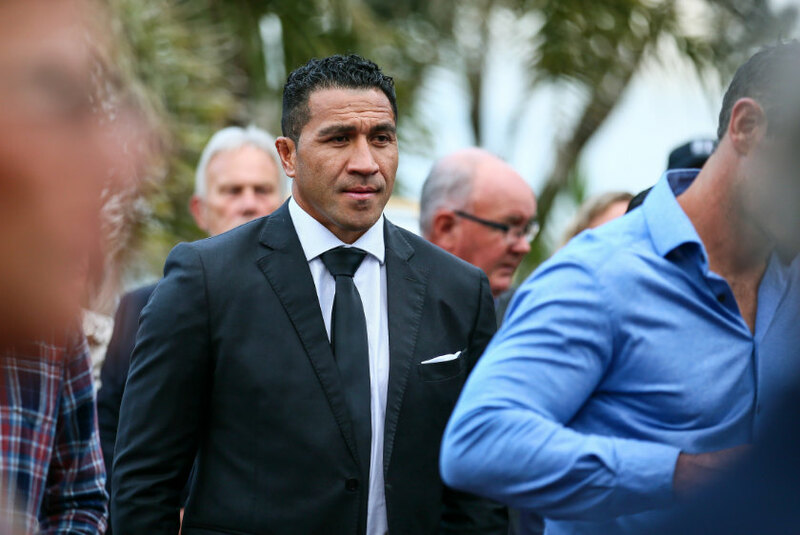 Metaxas also says that the traffic-sign recognition has been developed to work in Australia and New Zealand, Holden choosing not to release it sooner till it produced good results Down Under. 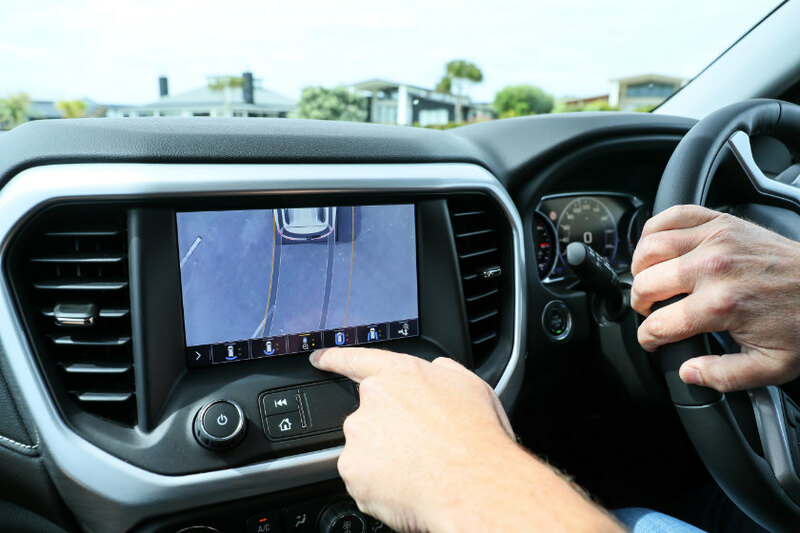 Intelligent speed assist uses the traffic-sign recognition to restrict a driver to the legal limit, with a programmable buffer for those who might wish to go a few kilometres per hour beyond. It’s possible to switch off the Acadia’s all-wheel-drive mode to save fuel, and do so on the fly, while its sport mode sees torque sent more to the rear. Lucire found the LTZ-V the pick of the bunch with the extra grip on the rear wheels, and the Flexride damping meant flatter cornering. The ride even in sport mode was reasonably comfortable. The partially digital dashboard, related to that in top Commodores, had a high resolution, and it wasn’t even noticeable that one was looking at a central screen. 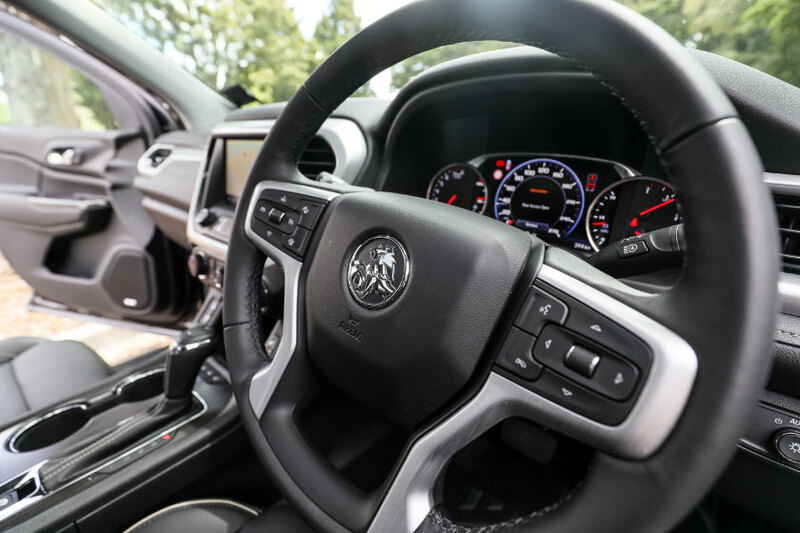 There’s not much in it between the interiors when it comes to the colours and inserts, and the cabin doesn’t feel as premium was you might expect. 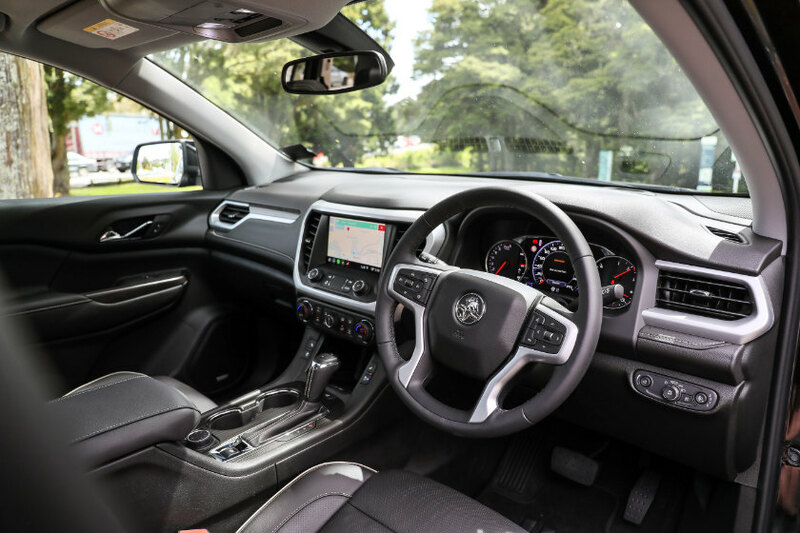 However, GM has installed its next-generation infotainment system, the central eight-inch touchscreen is sharp and clear (if somewhat small for the flagship), and the rear-view digital camera produces pictures far better than on other Holden products. Gestures on the system mirror those on modern cellphones, a concession to how ubiquitous they have become. Two phones can be connected simultaneously. We didn’t get to try the standard 360-degree camera but it would be a must for the size of vehicle, though it is equipped with park assist. 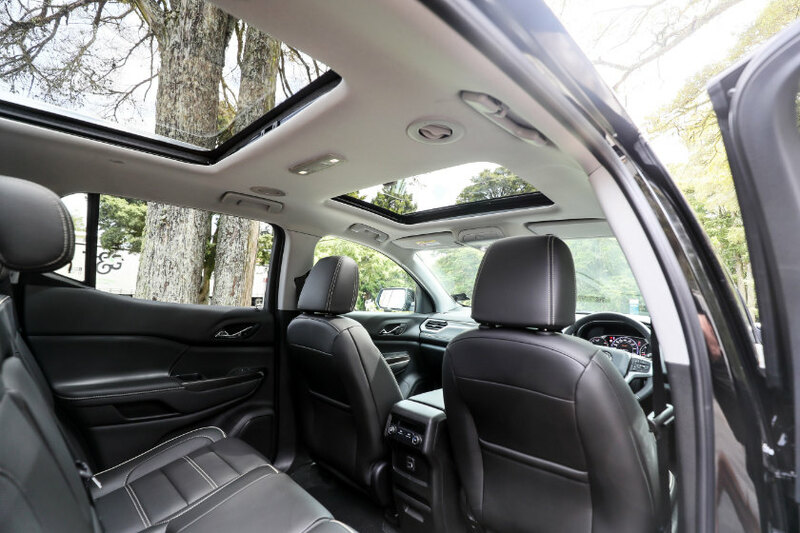 The LTZ-V’s power seats, dual sunroof help the interior’s ambiance. The adaptive cruise control makes life easier when cruising on motorways, and the grip from the 20-inch wheels makes the LTZ-V that much more driveable. A power tailgate, wireless cellphone charging and leather-appointed trim are all welcome. The LTZ still has plenty of the goodies, but we’re recommending buyers stretch to the V if they can. 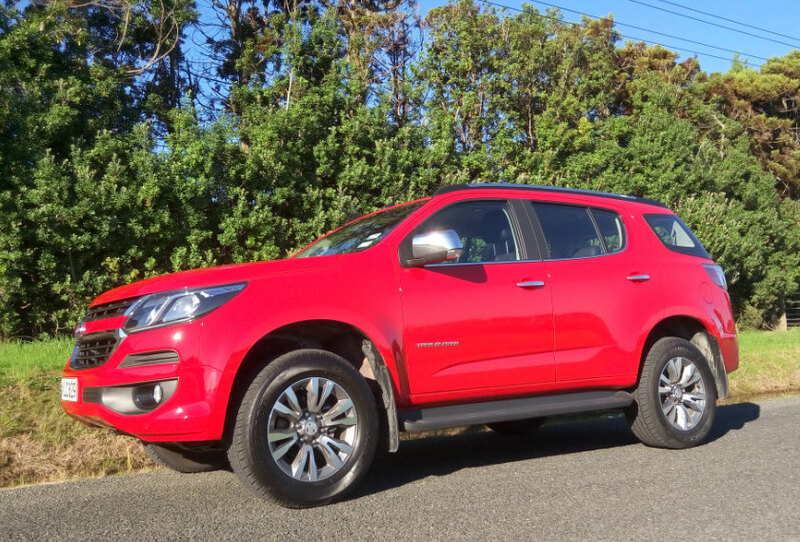 The base LT, without the benefit of AWD, could be tricky on the limit, particularly with the Acadia’s bulk and its 18-inch wheels. Having said that, the 18-inchers don’t make the LT look undertyred, and, if specced in black, no one can tell that the black exterior trim isn’t body-colour. But you are down to analogue instrumentation as with the base Commodore, and the tailgate is manual.